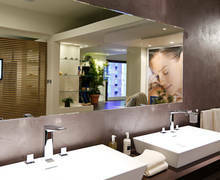 Located at Via Crocefisso 19 right at the heart of Milan’s exclusive and buzzing business district, the 600 square metre showroom presents GROHE’s stylish design universes for bathrooms and kitchens. 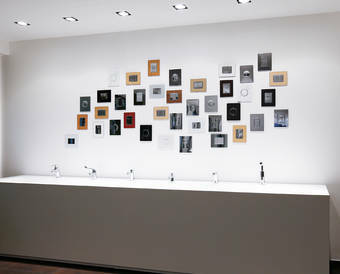 The relaxed atmosphere of the showroom, which extends over two levels, encourages visitors not only to obtain information on the global brand’s premium offerings but also to touch and test the faucets and actually experience products in real use. 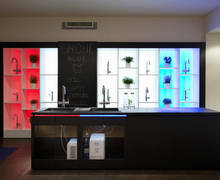 On the ground floor, visitors can immerse themselves in the world of the GROHE SPA® Collection and gain a hands-on impression of such product lines as Allure Brilliant, GROHE Ondus® digital, the Rainshower® F-Series and Veris F-digital and test the innovative GROHE Red® and GROHE Blue® kitchen systems. Numerous other highlights from the GROHE product universe can be found on the first floor, with each product reflecting a unique blend of quality, design, technology and sustainability. 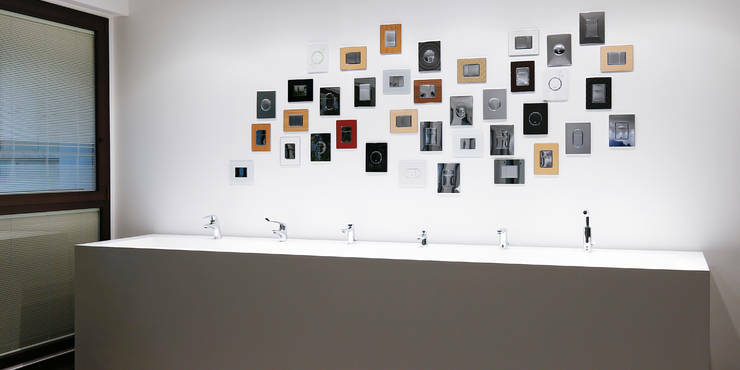 “With established showrooms already in London and Paris, this new resource in Milan gives us another strategically important location in Europe where professionals and end customers can experience our products,” says GROHE AG CEO David J. Haines.